So What is the Meaning of Kushiyaki? Kushiyaki… So many foreigners know of yakitori, and so many make the mistake that everything skewered and grilled is called yakitori. Which is fine, but it turns out it isn’t actually true. You’re reading this so you can uncover newfound superpowers and fly to the nearest amazing kushiyaki restaurant (or perhaps an izakaya?). Or do you prefer teleportation? Whatever your preference, you’re about to learn so much more about kushiyaki than you knew existed. Yakitori is grilled chicken. Sure, it’s more than the standard chicken meat you’re probably imagining right now, but it is still just chicken. Not beef tongue. Not bacon wrapped asparagus. Just chicken. Essentially all parts of the chicken: skin, cartilage, thigh, breast, heart, liver, and so on. I’ll dive into all that goes into yakitori in another article. For now, lets start the fight. The eternal struggle right? One side the the more commonly known yakitori. The winner of the popularity contest. On the other side sits the much larger contender — as it encompasses more types of skewered foods (and technically yakitori is just a specific subsection part of kushiyaki). As you can see this shouldn’t even be a comparison. Kushiyaki gets a bad rap, an unlucky beat. Or well… is just plain unknown really. If you throw 串焼き into Google translate it will tell you skewers. Kushiyaki means skewers? Kind of. More specifically it’s grilled skewers — essentially anything you can skewer, grill, and then eat. 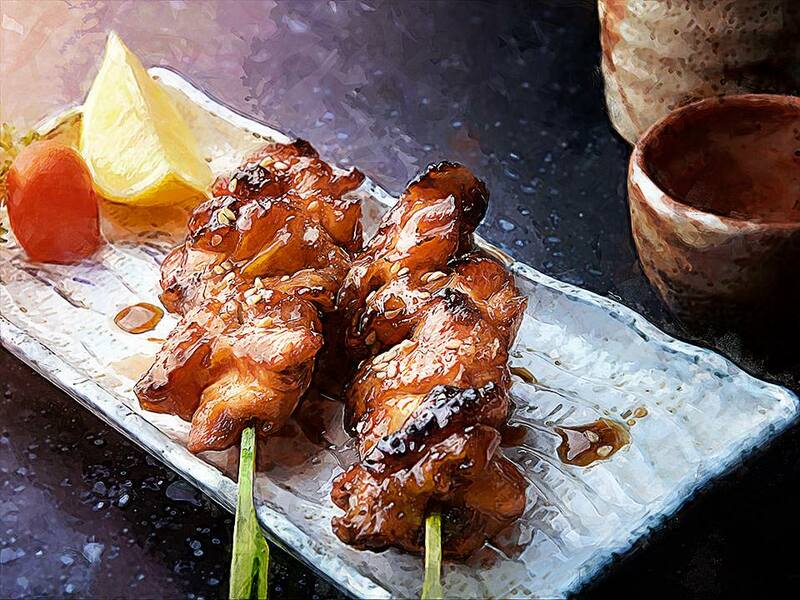 It’s the overall word that encompasses all the more specific types like yakitori and yakiton. And boy do the Japanese love skewered food (and so do I). 串 written on it, chances are you are staring at a kushiyaki (or kushiage, but that’s for another article) shop. Go in! You won’t regret it. Okay, technically the restaurant they mention in the video serves yakiton — which is grilled pork skewers. But guess what. Yakiton is kushiyaki too! Yakiton — Just like yakitori is all sorts of parts of the chicken, yakiton is all sorts of parts of the pig. 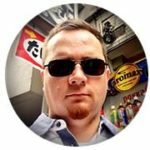 I’ll cover yakiton more in-depth in another article — probably combined with yakitori. Asuparabekon — Say this out loud to yourself. What do you think it is? If you guessed fried crawfish you’d be… wait… what? No, this is asparagus wrapped with bacon! Bacon-dayo! Tomatobekonmaki — This is another easy one. Tomato wrapped with bacon. Bacon again-dayo! Gyutan — This is beef tongue (my wife’s favorite, and is massively popular in Japan). If you can skewer and grill it, it’s kushiyaki. When you order you’ll often be given a choice of two flavors: salt or sauce. And some shops will have a little saucer of dipping sauce too. Salt in Japanese is shio and sauce is tare. But what is kushiyaki sauce? It’s a mixture of soy sauce, mirin (a type of rice wine used in cooking), sake (Japanese alcohol) sugar, along with various other ingredients to change things up. Every shop will craft their sauce differently for a unique flavor. I couldn’t have all this talk about grilled skewers and nothing about the grill (and the charcoal). The grill is interesting because it is precisely built just to grill skewers without any metal elements touching the food. The skewer crosses the grill exposing the ingredients to the heat and smoke directly. And even the charcoal is interesting! Never thought you’d ever hear that huh? If you’re at a really good restaurant they’ll use authentic binchotan. Kushiyaki is one of those foods in Japan that is synonymous with beer, sake, and otsumami. By the way, otsumami is the small foods or snacks that are perfectly matched for eating with beer or sake. Most commonly you’ll find edamame (salted soybeans), tamagoyaki (a pan-grilled omelet, sometimes sweetened), and tsukemono (pickles). 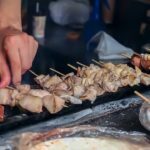 This video put together by Savor Japan does a deep dive on kushiyaki and the history behind it too. A bit of a long watch, but interesting. Iseya is a yakitori restaurant in Kichijoji that's been around for a very long time. They’ve been serving delicious, cheap, yakitori since 1928!